Since the dawn of social networking, users have been looking for a way to share updates across multiple services at once. 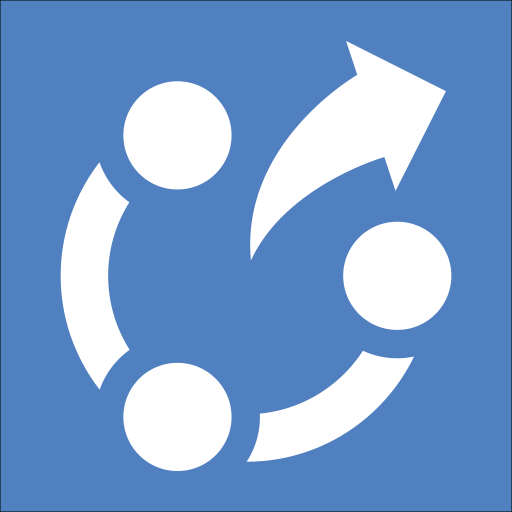 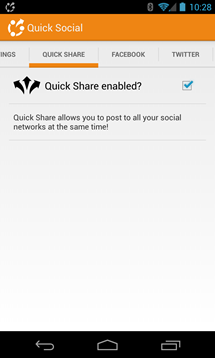 Be it Facebook, Twitter, Google+, or any combination of the three, a new app called Quick Social is here to make sharing your thoughts across different networks incredibly easy. 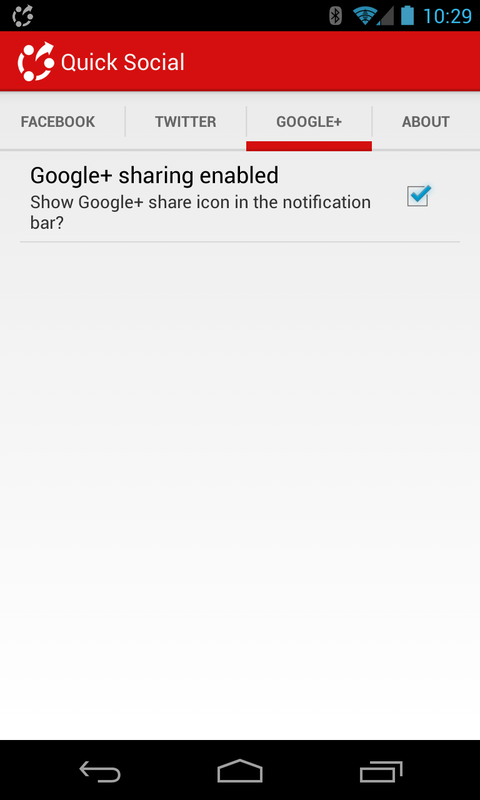 The concept of the app is simple: throw quick links to Facebook, Twitter, and G+ update boxes in the notification bar, so you can share on a whim. 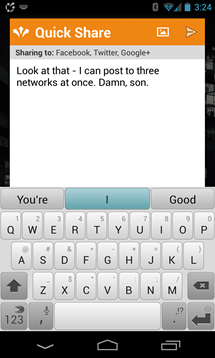 It supports both text and image sharing across all three networks, but for more "advanced" capabilities, you're still stuck using each respective network's app. The real allure of Quick Social, however, is its ability to share across the three networks at the same time (Pro version only). 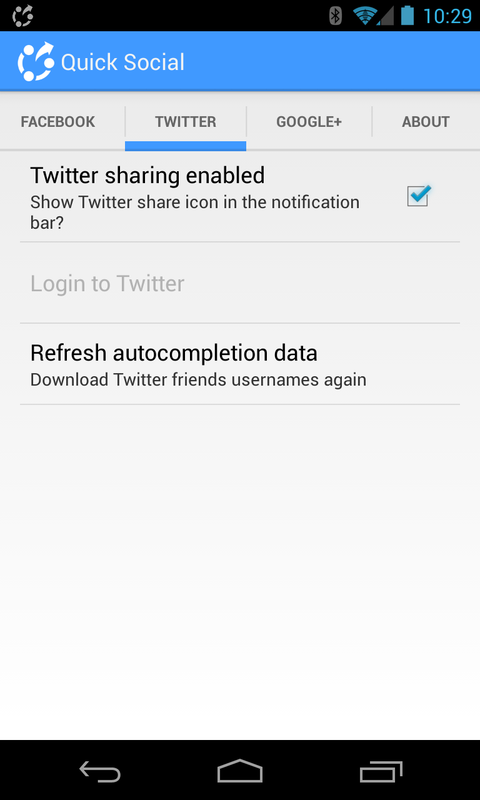 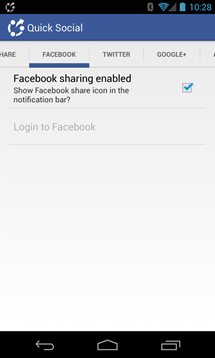 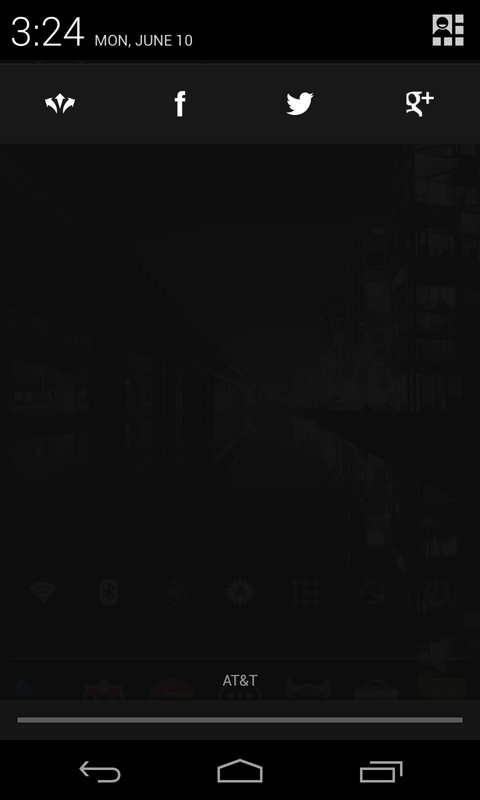 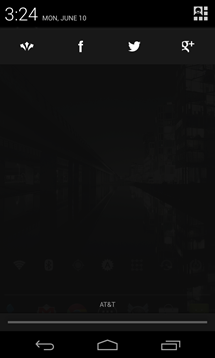 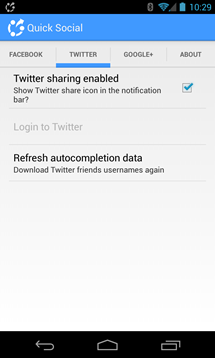 After enabling the app and connecting it to all relevant networks, you can opt to enable "Quick Share," which puts a fourth entry in the notification shade, allowing a single update to push the all three networks. 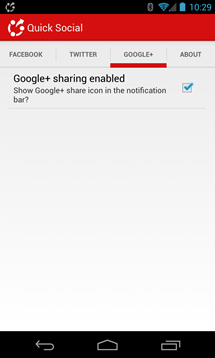 There is one extra tap required in order for G+ sharing, but it's still a far cry better than typing the same update thrice (or copy/pasting). 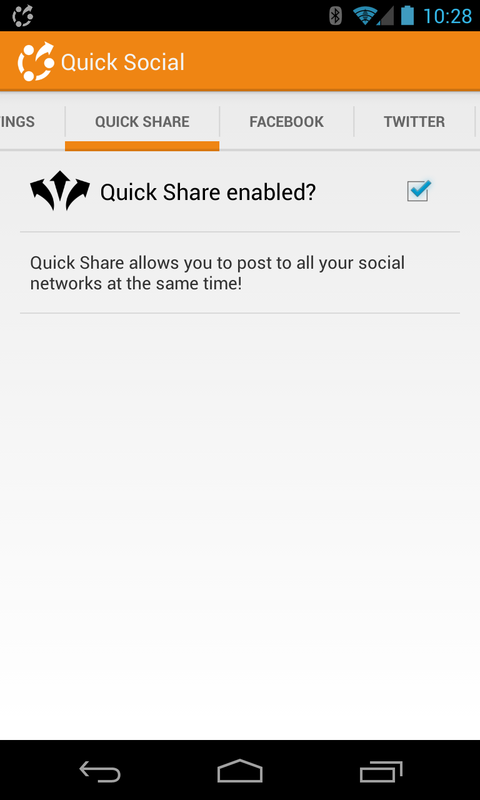 There is a free version of Quick Social that's unfortunately lacking the Quick Share feature and is riddled with highly-intrusive ads, but at only a buck for the paid version, it's worth the cost for the socialites who share across all the networks constantly.